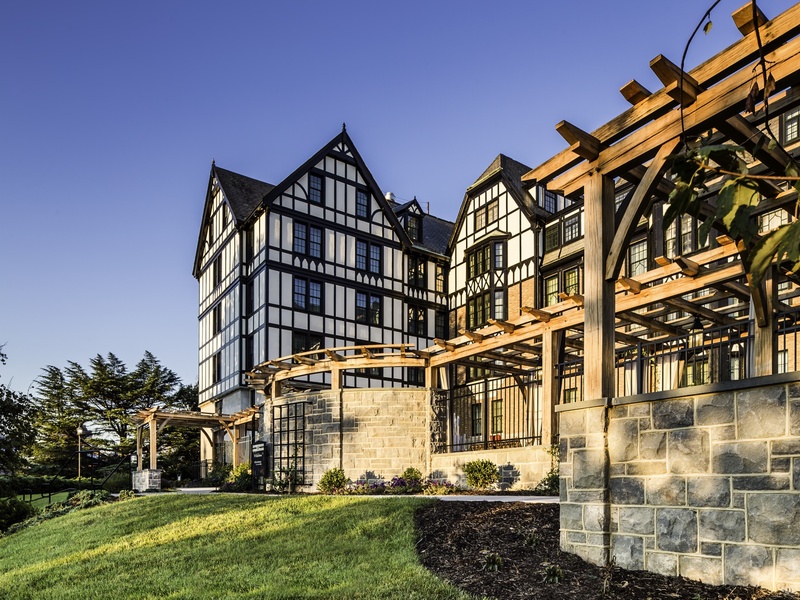 COMPLETED IN the late spring of 2015, the renovation of the Hotel Roanoke pool expands the services offered by the hotel as well as the architectural language and materials of the area. 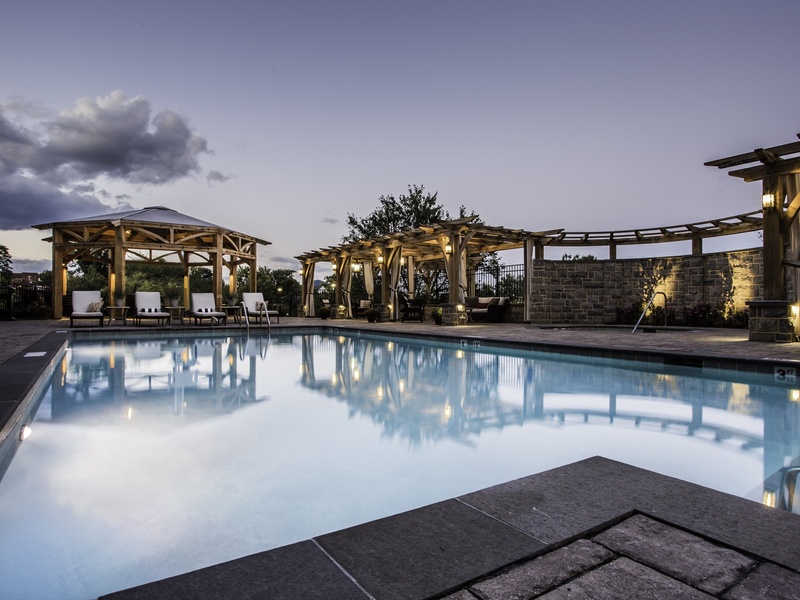 The project creates a wide variety of guest environments with shade structures standing opposite open sunning areas and intimate spaces of varying scales to enhance the multi-functional aspect of the space. 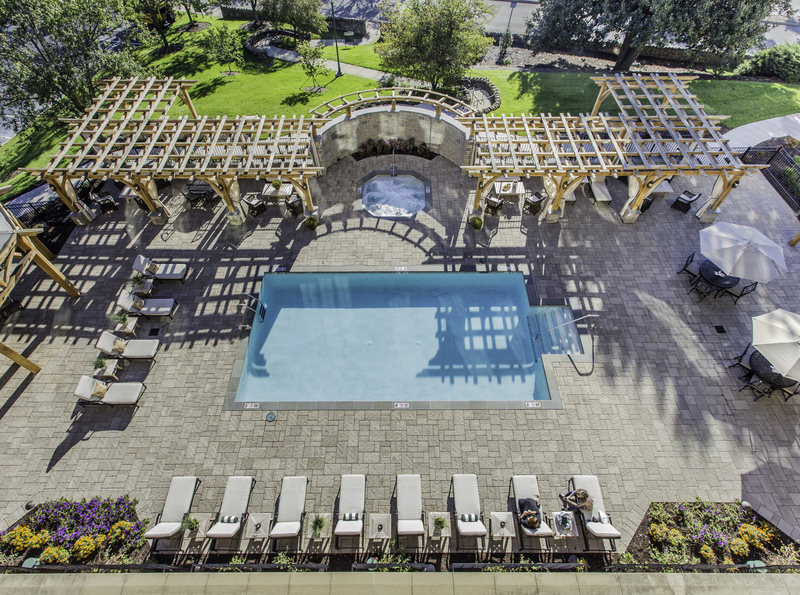 The existing pool and hot tub become year round water features, framed with an arcade designed to be experienced from within and also as part of the pedestrian arrival sequence. 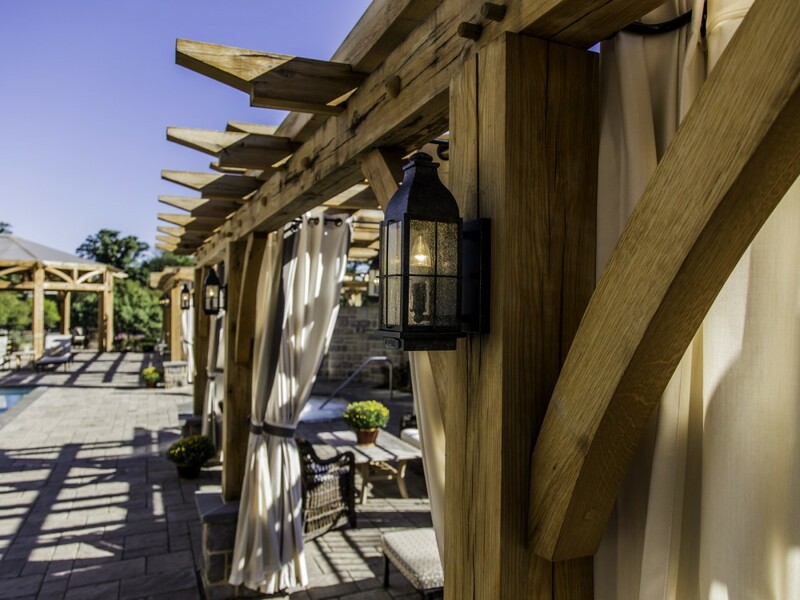 This arcade provides private rooms enclosed with drapery, perhaps creating a venue for spa services or just relaxing in the shade. 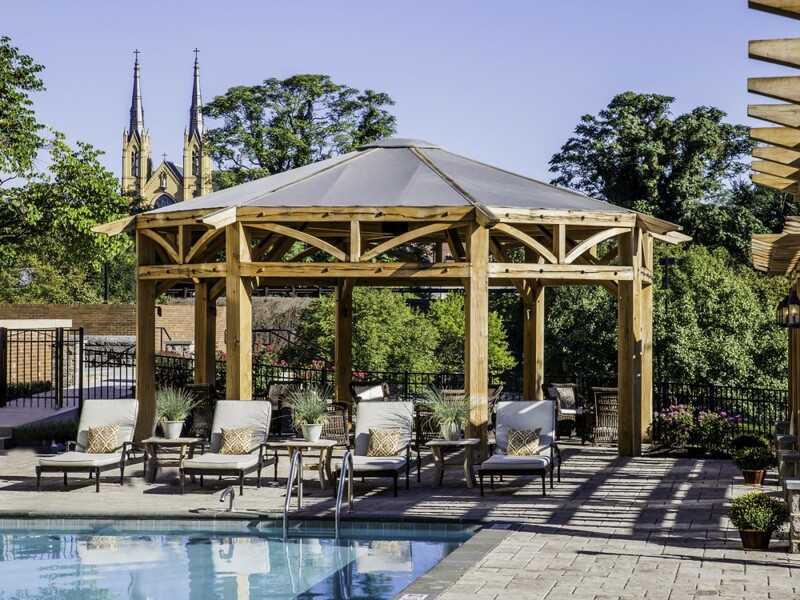 A seating area at the north end of the space takes advantage of borrowed views while the overhead structure draws inspiration from photographs depicting the steel frame reconstruction of the hotel in 1937. 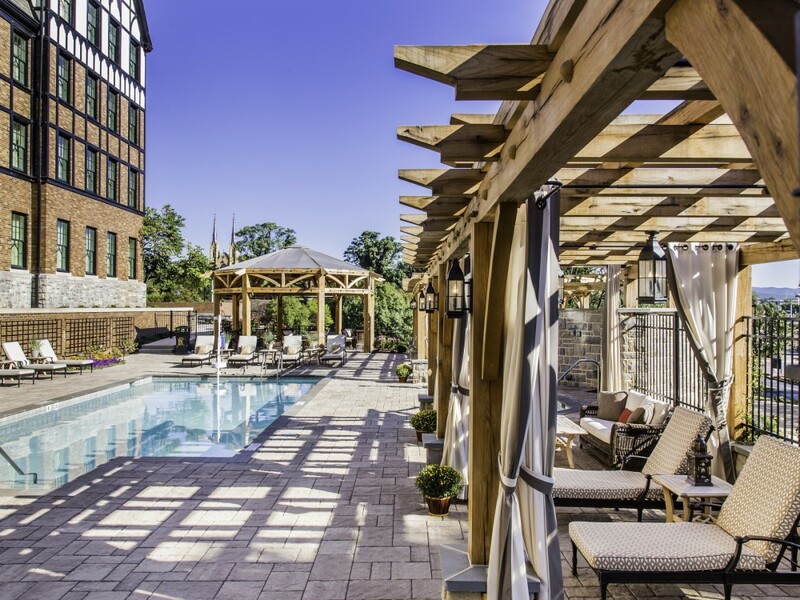 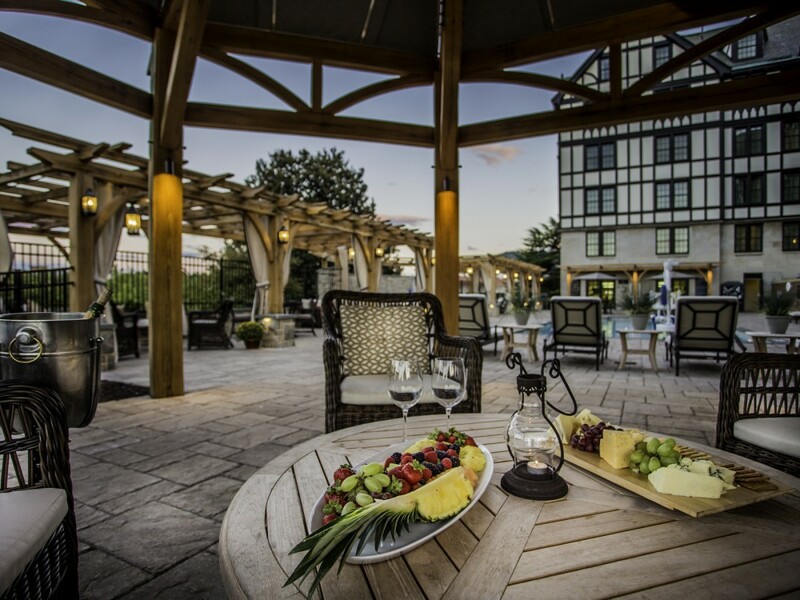 This corner of the Hotel Roanoke is no longer just a pool area but a four season landscape of multiple amenities. 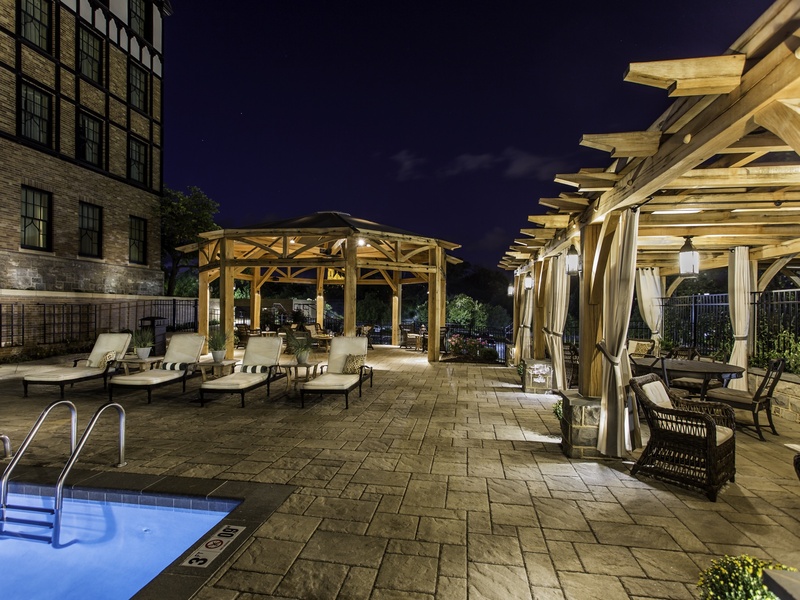 This was designed in partnership with FourWinds Landscape Design.